Multiple methods of cotton weed control, especially to control pigweed, were presented recently by Dr. Tom Barber, University of Arkansas Division of Agriculture extension weed scientist. presents multiple methods of cotton weed control. Photo by John LaRose, Jr. Since these winter annuals may come up a little later farmers need to start early and have a plan. That plan starts at burndown. The time of burndown, usually within 30 days before planting is anticipated, will probably include a residual just to keep the field clean until planting. Last year there was a big shift into a variety of cotton that can survive Liberty and glyphosate over the top. That shift over time came about because varieties in that technology are increasing as far as yield potential. “Liberty over the top of the cotton to control pigweed is really the only herbicide option we have for post emergence pigweed control at this time. It’s a tremendous tool for us and pigweed management in cotton,” he noted. Every cotton producing county in Arkansas has glyphosate resistant pigweed present so farmers have reason to be concerned. Those who plant a variety that can only accept Roundup are really limiting themselves into a residual control aspect only. At planting, farmers need to spray something like Cotoran, Direx or Caparol preemerge just ahead of, or just after the planter. So two residuals are needed up front in a Roundup only system for cotton. In a LibertyLink system, Liberty will work over the top to control pigweed, but timing is crucial. If pigweed isn’t controlled at less than five inches tall then the percent of control goes way down. Reflex preplant is a crucial application in cotton production in Arkansas. Using Cotoran, Direx, Caparol pre is also needed. One helpful effort in the LibertyLink system is to spray 29 ounces today then come back in seven to ten days with the second application. That greatly improves pigweed control. 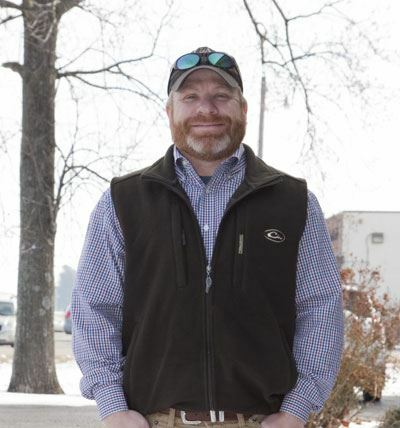 “Our standing recommendation, especially if pigweeds are over four inches tall, is to come back with a second application of Liberty to clean up the field,” he said. “Then we can come back with our layby application and we should be pretty good through the rest of the year. Environment plays a big role in how effective preemerges are; however, they are still crucial in the fight against pigweed in Arkansas. Residuals are keys to rotating herbicide mode of action and fighting to prevent future weed resistance. “If we only spray Liberty and nothing else over the top, whether we’re talking about cotton or soybeans, we’re going to quickly lose Liberty herbicide and build resistance to Liberty in pigweed; so my take-home message today in cotton is we’re residual herbicide-based at this point, and I don’t see this changing any time even when we move into the new technology,” Barber said. “Whether we’re talking about the Roundup Xtend system or the Enlist system, I don’t think we’re going to move away from residual herbicides. Nothing that we have in the pipeline that I can see in the next several years is going to be a silver bullet for pigweed control, so we have to always come up with a game plan before we plant.